We are currently looking to accredit our training programs to offer a professional qualification for experienced personnel within the animal world to advance their skills in Animal Transaction and assist us in making our methodology available world wide. 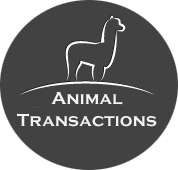 If you are working in a professional animal related industry and are interested in applying to become an Animal Transaction practitioner, please feel free to contact us directly. Sarah is running lectures and workshops at throughout the UK in 2019 / 20 please mail for details. Got the latest copy of JAVS? Our work has been featured in JAVS, leading equine magazines and The Vet Times, we regularly work with TV and documentary makers, information can be found on our parks website on YouTube and via Facebook. Bringing your team to France is more often than not, cheaper than taking them to a UK destination. Speak to us for full details of our residential courses.